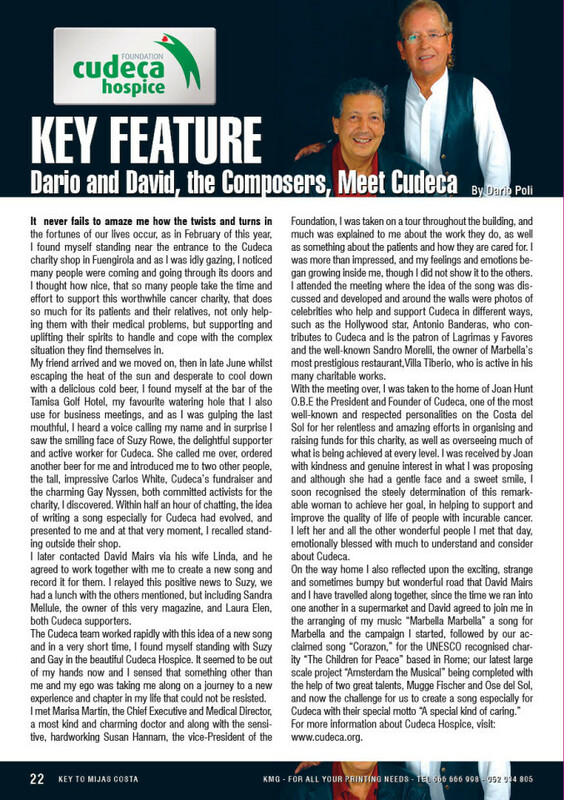 Key Feature: Dario and David, the Composers, Meet Cudeca | Marbella Marbella – Adelante! Dario Poli and Davis Mairs are now supporting Cudeca by creating a song especially for the Charity, that specializes in people suffering from Cancer. The composers hope that with inspiration, they will create a song that will help raise funds for this important charity.